Pure Android at a fair price. The Xiaomi Mi A1 is the European version of the Mi 5X. Equipped with LTE band 20 and Android One, for a low price, it offers not only regular and timely security updates but also a two-year update warranty on the security patches. The Xiaomi Mi A1 is not just a smartphone that turns the market upside down. It is also a pest. Do you pay $220 for a phone that does almost everything well, or do you pay more than 2.5 times as much for a smartphone that also has a great camera? In any case, the budget-conscious buyer cannot ignore the Xiaomi Mi A1. 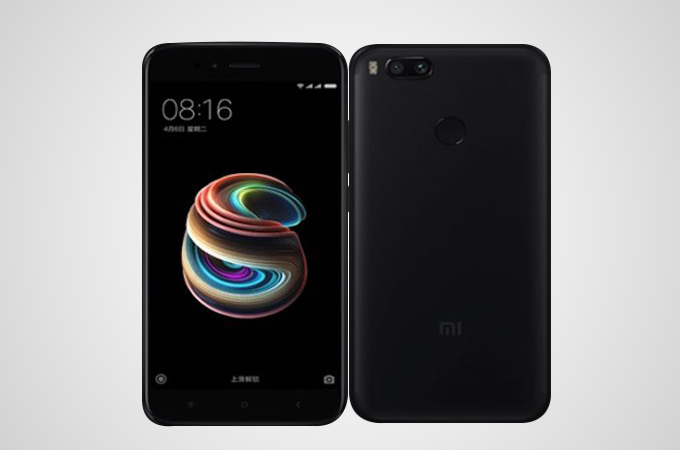 We’re fascinated by Xiaomi, which has quickly carved out a niche as the Apple of Android: it takes a similarly stripped-back approach to Cupertino’s finest, offering phones that don’t faff around. The Mi A1 is a great example of that. It’s a revamped Mi 5X and looks and feels fantastic. There are a couple of wrong notes – no NFC means no mobile payments, and the screen is disappointing – but it’s still an awful lot of phone for not a lot of money. The A1 is great value for money, delivering an uncluttered Android in a phone that punches way above its price tag. There's no denying that the Mi A1 is a really affordable smartphone at RM1099, by that factor alone it can easily beat out several mid-range smartphones that are priced higher, so it's definitely a value for money device considering that it has pure stock Android, good battery life and surprisingly good gaming performance. However, the camera's overall performance is a bit underwhelming, but the bokeh effect is still good. Another excellent handset from Xiaomi, and add to it powered by AndroidOne – this makes it even more special. Now this handset is not running MIUI, the experience will be different. In case you are in love with MIUI this is not for you, unless you are looking for a change. 80% Test Xiaomi Mi A1 : Android One, des sensations pures ! Étant particulièrement attiré par les interfaces Android pures, il faut reconnaître que l’appareil m’a particulièrement séduit. En l’absence d’alternatives crédibles, dans cette gamme de prix, c’est un smartphone à considérer pour tous les nostalgiques des appareils Nexus. Les Pixel 2 ne sont pas commercialisés chez nous et ils sont plus onéreux. While Xiaomi continues to face stiff competition in the competitive S$500-800 price bracket, it is still the king of the sub-S$500 tier. Right now nothing even comes close to what you're getting with the Mi A1 thanks to its combination of premium design, good display and audio, wide-angle and telephoto dual camera setup and pure Android OS. While there are other pure Android smartphones on the market, none offer this level of hardware and design sophistication at this low of a price. To sum it all up, Xiaomi’s Mi A1 is a great phone. It doesn’t push the boundaries with design and it doesn’t have top of the line specs, but all of that is cancelled out with its price. It costs a paltry $234, or 15,000 Rupees. A myriad of sins can be forgiven at that price, and so the Mi A1’s shortcomings turn into ignorable bumps on the road. Not that there were many. 85% Xiaomi Mi A1 review: the perfect budget phone? There is heavy competition in the budget mid-range segment in the Indian smartphone market. However, Xiaomi has managed to hit a home run with the Mi A1. This is particularly impressive since the company’s previous mid-range in the same price band, the Redmi Note 4, was also a winner and has been selling like hot cakes in the country. 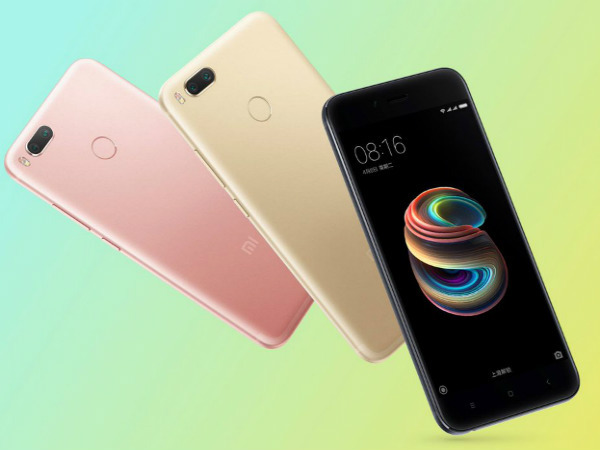 Xiaomi's bang for the buck has always been hard to match, but the Europe-bound Mi A1 units appear to have lost some of their price edge compared to the bargains you can find at online vendors. Fair enough, it's a new playground and new rules. If that means sensible after-market support - compared to very limied one - Xiaomi might actually have a case there. We guess we'll know soon. You don't really think the Mi A1 is an accidental arrival, do you? With that in mind, we still consider the Mi A1 to be a great value buy as it's basically a budget Pixel phone, or to compare it to another phone, it offers almost everything you get from the OnePlus 5, for under half the price - in fact, you also get the benefit of expandable storage, which I know the lack of can be a deal-breaker for many people. Leaving out the boring design, the Xiaomi Mi A1 with its all-rounding performance makes this smartphone a compelling device under mid-range segment. The Xiaomi Mi A1 comes in Black, Gold and Rose Gold colors are priced at Rs. 14,999 and goes on sale every week through Flipkart and Mi.com online and is also available at Mi Home stores and other offline retailers. Xiaomi offers a well rounded phone at Rs 14,999 with stock Android to boot. If you are in the market for a Rs 15,000 phone, you will not go wrong with the Xiaomi Mi A1. Of course, you will have to factor in one of its major drawbacks - poor low light photography. But that apart, there is fairly little to complain with the Mi A1. And thankfully, it will not just be available on flash sales which gets over in seconds. Xiaomi has also partnered with a lot of offline retail partners for the Mi A1. Xiaomi may go to great lengths to claim how good the Mi A1 looks and feels and does in the camera department, but, the real star of the show here is the software. The Mi A1 is essentially a Xiaomi phone running stock Android and to cut short the chase here: it flies like no other phone at its price point. With Xiaomi Mi A1 it seems the Google Android One might be ready to offer what it first promised. The device has all the factors that a device in this price segment requires and is capable of giving any smartphone a run for their money. 82% Xiaomi Mi A1 Review: Stock Android – Achilles or his heel? When the Android One programme was first launched, it promised a lot but eventually faded away. With Xiaomi, Google has managed to put a fresh face for Android One, but how well the new plan goes is yet to be seen. When it comes to price, the Xiaomi Mi A1 is a firecracker of a package. The metal body and overall finish are superb, while the display and overall performance are good. Users will also get to experience stock Android on a Xiaomi phone for the first time, so those who never liked MIUI, this one's for you. The dual cameras work well. Xiaomi launched the AndroidOne smartphone called Mi A1 in India. The company has partnered with Google and launched this smartphone with a attractive price tag of Rs. 14,999. Here is Mi A1 Unboxing and First Impression. The Xiaomi Mi A1 offers a strong build quality, good display and an adequate battery life. Other than this, it comes with a bloatware-free Android experience and confirmation from the company that the device will get at least two more Android OS updates. The first one (Android Oreo) coming as soon as December. Xiaomi Mi A1 first impressions: How’s stock Android on a Xiaomi phone? What are your thoughts on the Xiaomi Mi A1 and the resurgence of the Android One program? Tell us in the comments, and meanwhile we’ll do a deep dive into the product, and share our complete review soon. The Xiaomi Mi A1 is a jack of all trades, but master of none. As far as budget smartphones are concerned, this is one of the most dependable phones out there. Positive: Stylish design; metal case; nice display; excellent dual cameras; high performance. Negative: Only 64GB ROM; the location of the fingerprint sensor; no NFC; unsupported waterproof. Positive: Elegant design; good price; support NFC. Positive: Good cameras; long battery life; fast system; solid workmanship; fast fingerprint sensor. Negative: No NFC. Positive: Nice performance; good price; decent cameras. Positive: Premium design; nice cameras; good price; metal case. Positive: Nice performance; good main dual camera. Negative: Sim and microSD are on the same slot; poor selfie camera. Positive: Low price; decent cameras; nice autonomy; good performance. Negative: No FM radio; no NFC chip. 84% Recensione Xiaomi Mi A1: Google e Xiaomi coppia vincente! Positive: Good price; attractive design; decent hardware; nice cameras. Positive: High performance; good price. Positive: Great built quality; premium design; high performance; good price. Positive: Decent selfie camera; elegant design; nice performance. Negative: No NFC; weak hardware. Positive: Good price; high autonomy; fast system. Negative: Low light on motion camera. Positive: Impressive design; good price; metal case. Positive: Excellent display; good speakers; nice main camera; support dual sim. Negative: Combined slot; poor selfie camera; no quick charging. Positive: Good price; long battery life; nice performance. Positive: Decent hardware; good price; nice cameras. Negative: Short battery life. Positive: Great built quality; metal case; beautiful design. Positive: Metal case; nice cameras; good speakers; high performance; support dual sim. Negative: No NFC. Positive: Fast fingerprint sensor; good dual cameras. Negative: Sim and microSD are on the same slot. Positive: Elegant display; good cameras; nice performance. Positive: Good price / performance ratio; attractive design; metal case; good hardware; nice dual cameras. Negative: No quick charging; mediocre speakers. Positive: Solid workmanship; high performance; good speakers. Negative: Poor cameras; slow charging; poor display. Positive: Good price; nice dual cameras; metal case; support USB-C; quick charging; decent display. Negative: Mediocre design. Positive: Good price; nice dual cameras; decent hardware; good display. Negative: Mediocre design. Positive: Slim size; light weight; metal case; nice display; decent dual cameras; good hardware; nice performance. Negative: Poor selfie camera; slow charging. Positive: Good price; decent hardware; nice design; good display. Negative: Average performance. Positive: Good price; decent dual cameras; great built quality; metal case; beautiful design. Positive: Decent hardware; low price; nice dual cameras; decent hardware; good battery life. Positive: Good price; decent dual cameras; elegant design; metal case; nice display. Model: The Xiaomi Mi A1 features a 12 MP + 12 MP dual camera solution with 2x optical zoom, phase detection autofocus, and a dual-LED dual-tone flash. Its secondary camera works on a 5 MP, 1080p. At just 7.3 mm slim, the Mi A1 is designed to practically fit a user’s hand. The Xiaomi Mi A1 is a available in four colors; black, gold, rose gold, and red. Moreover, it is also fingerprint resistant, has discreet separation lines and is cloaked with a full metal body. Its non-removable lithium-ion battery with 3,080 mAh provides a battery life of 87 hours. It is built on a front glass, lined with an aluminum frame. The Xiaomi Mi A1 has a 2.5D curved glass display, that is perfect for reading, gaming, and watching videos. The glass is completely long-lasting thanks to Corning Gorilla Glass 3. The firmware has been updated to MIUI 9. The capacitive LTPS IPS LCD touchscreen features 16M colors, a size of 5.5 inch, a resolution of 1,080 x 1,920 pixels, and an aspect ratio of 16:9 and supports multi-touch input. The phone comes with a Qualcomm MSM8953 Snapdragon 625 with 2.0 GHz Cortex-A53, and an Adreno 506 GPU, 4 GB of RAM and 64 GB internal storage. The storage capacity can be expanded by up t0 128 GB with a microSD (which uses the second SIM slot). 10V smart power strength and Dirac HD Sound algorithm ensure powerful speaker audio output and better sound quality for both music and phone calls. Clearer calls are also enhanced with the top and bottom placed microphone. Combined with a noise-reduction complexity by Fortemedia, communication is even possible in loud scenarios. The Xiaomi Mi A1 weighs at 165 g and measures at 155.4 x 75.8 x 7.3 mm. It was released in September 2017. The phone comes with hybrid dual SIM (Nano-SIM, dual stand-by). The Android 7.1.2 (Nougat) system can be upgraded to Android 8.0 (Oreo). Its connectivity includes WiFi, Bluetooth, GPS, FM Radio, and a reversible USB-2.0-Type-C-1.0 connector. The Xiaomi Mi A1 sets the benchmark for the Android One program. With a close to pure Android experience, it can offer much more than other Android phones, for example a very snappy UI and quick software updates. However, the pure Android feel might not be for everyone. It suites power users more than regular users who prefer a more feature-packed UI.